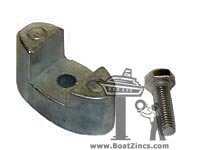 Zinc anode for the bow thruster BOW 23A, 50, 80 and all Stern Thrusters. Mounting screw included. 10mm wrench required.